Good news in the real estate market. 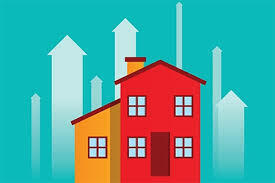 Pending home sales moved up slightly in October month-over-month, enough to inch sales contracts up to the highest level since July, according to the latest reading from the National Association of REALTORS®’ Pending Home Sales Index, a forward-looking indicator based on contract signings. Nationwide, pending home sales managed a 0.1 percent month-over-month increase in October to a 110 reading on NAR’s index. The index is now 1.8 percent higher than a year ago.